WELCOME TO "BURROW ME OUT", where you can start your own owl colony! Don't get me wrong: it's not an easy, fun, or even comfortable one. But let's get one thing straight: saving the burrowing owls will be rewarding. One, they kinda live in your backyard (or at least, they used to, before construction firms decided otherwise). As a local species, the burrowing owls exact a certain amount of respect from us: something we owe them. 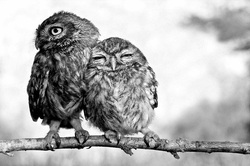 Two, the owls are cute. I mean, just look at those eyes! How could anyone in their right mind resist? Three, they're endangered in San Diego. As a canary in the mine, their dropping numbers could indicate an ecological imbalance. BURROW ME OUT is an interactive, Choose Your Own Adventure-esque online game that incorporates the procedures and methods used by the San Diego Zoo in their efforts to start a burrowing owl colony in San Diego, California. Along the way, you'll also learn about the SoCal ecosystem, and ecology in general. JUST GO TO"START A NEW GAME" ON THE HOME MENU TO GET STARTED!